I recently had the opportunity to try out a beauty treatment that seemed way too good to be true. Touted as a lunchtime facial, Nouveau Skin Therapy's A-Lift treatment takes just 30 minutes and offers non-invasive facial lifting. Since I'm in no rush to go under the knife or resort to Botox (not judging - it's expensive and I hate needles), I was all too happy to give this new treatment a try. 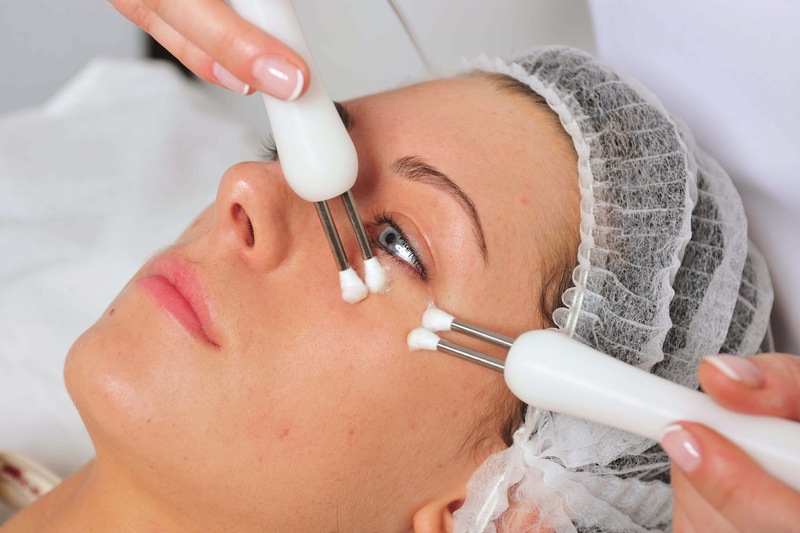 A-Lift treatments aim to achieve reduced lines & wrinkles, firmer face & neck muscles and healthier, more youthful skin using nanocurrent and microcurrent technology. A simple water-based product is applied to the skin first before the therapist starts the treatment which includes 3 quick steps. Unlike some other similar facials that use a current, you can't feel the shocks from A-Lift because the nanocurrent is so small. The treatment simply feels like a relaxing facial massage - it's actually very relaxing. Following the treatment, the therapist applied a moisturizer and I didn't even have any redness or irritation. Right away I could feel that my skin was smoother. The next morning I woke up to a vibrant, slightly more lifted face and an overall improvement to the quality of my skin. I have a few pesky lines that are starting to form from places where my face is most expressive and they were very reduced. My normally dry trouble spots were improved as well and my skin quite simply felt renewed. It's hard to believe that just 30 minutes without anything invasive or 30 products applied one after the other could yield such results. It's so simple it almost seems unreal. Depending on age and individual skin issues, the therapist will make recommendations for how many treatments are suggested. Older or more damaged skin may require weekly treatments while younger skin could require treatments every few weeks. Regardless, there is hope for those of us who are scared of the needles and knives associated with anti-aging! The Nouveau Skin Therapy A-Lift treatment starts at £30 and is offered at many locations across the UK. For more information and to find a salon that offers A-Lift near you, visit Nouveau Skin Therapy's website.